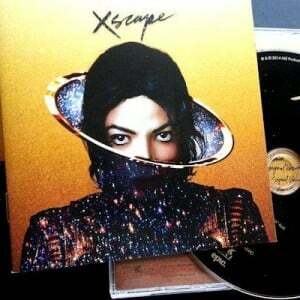 It is in this forward-looking spirit that Epic Records, in conjunction with the Estate of Michael Jackson, approached putting together a new album of previously unreleased songs by the King of Pop, entitled XSCAPE. 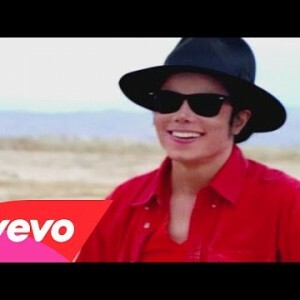 A project overseen by music legend and current Epic Records Chairman and CEO L.A. Reid and carried out by world-class producers, including renowned studio veterans Timbaland, Rodney Jerkins, John McClain and Stargate, the goal was bold, but straightforward: take some of Jackson’s best and most complete unreleased music and make it feel as new, as current, as fresh as if the artist was still with us. Jackson had a habit of over-recording for albums; oftentimes this meant outstanding songs were left on the cutting room floor (“Wanna Be Startin’ Somethin,’” for example, was originally recorded during the Off the Wall era, but saved for Thriller; “They Don’t Care About Us” and “Earth Song” were originally recorded during the Dangerous sessions, but saved for HIStory). For Jackson, there could be a variety of reasons for leaving a song off a final tracklist. Sometimes he still wanted to let the song “speak to him” and try out different elements; sometimes, even though he loved the song as it was, he didn’t feel it worked with the rest of the material on an album; and sometimes it was just a practical matter of what could fit on a record or CD. Tracklist decisions were always difficult for Jackson and almost always came down to the last minute. Jackson, however, frequently returned to tracks he liked on later projects, sometimes finding a “home” for them decades after they were first written and recorded. With this process in mind, Jackson’s Estate began combing through the artist’s vast vault in late 2012, looking for some of the strongest material the artist left behind. Working with longtime Sony A&R man, John Doelp, they eventually narrowed in on about two dozen tracks that spanned over two decades of Jackson’s career. After this preliminary pull, L.A. Reid listened to the material, often blown away by the quality of what he heard. 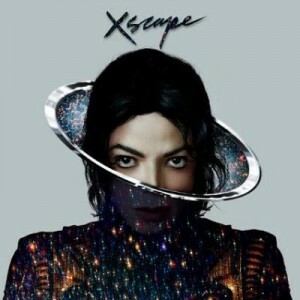 For XSCAPE, Reid determined to only use songs that seemed mostly complete and that contained Jackson’s vocals from top to bottom. This was not merely a practical decision. Since Jackson often waited until the very end of a song’s creative process to lay down vocals, a complete vocal signaled to Reid that Jackson must have really loved these particular songs. As strong as the songs were, however, Reid believed that they deserved to be heard by more than just Jackson’s most die-hard fans and began considering ways that would allow them to reach an even wider, contemporary audience. The album’s lead producer, Timbaland, was one of a handful of producers Reid believed had the gravitas, depth and range to creatively engage with Jackson’s work. 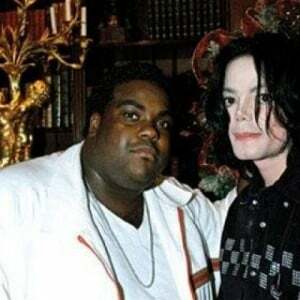 Additional producers include John McClain, Rodney Jerkins, Jerome “Jroc” Harmon and Stargate. The result of these posthumous “collaborations”—XSCAPE—features some of Jackson’s strongest unreleased work, dusted off and polished with state-of-the-art production. 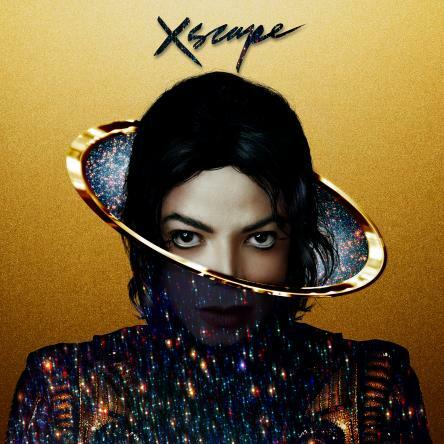 For the serious Michael Jackson fans, the Estate of Michael Jackson and Epic Records offer a deluxe edition of the album, which includes a collection of the original recordings. The primary vision for XSCAPE, however, was to “make it new” (to adopt the modernist credo) to accentuate the music’s relevance to the here and now. The decision to “contemporize” Jackson’s music is not only based on the artist’s desire to remain on the cutting-edge, but also on the premise that one way to keep great art alive and relevant—from adaptations of Shakespeare’s plays to hip hop samples of James Brown—is by creatively connecting it to the present. Posthumous albums, of course, are different than albums an artist finishes and releases while at the helm. Michael Jackson’s official canon—the albums, performances and short films he oversaw and realized during his lifetime—is complete. That catalog remains one of the most impressive and durable in the history of music, still inspiring new generations of fans and artists alike. “Contemporizing” Jackson’s songs, then, is a kind of parallel track in keeping Jackson’s legacy thriving. It is not about replacing what Jackson left behind or even about finishing a specific blueprint; without the artist here, that is impossible. Rather, it is about creatively connecting with his work, about finding new and compelling ways to capture the essence, the excitement and the magic that is Michael Jackson. 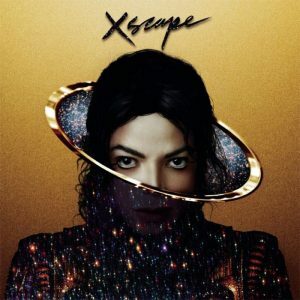 The title XSCAPE was chosen for numerous reasons: 1) it continues Jackson’s tradition of giving albums one-word titles (i.e. Thriller, Bad, Dangerous); 2) it shares its name with a song on the album, and 3) it communicates something important about the content of the album. Throughout his career, Jackson frequently used the term “escape” and “escapism” to describe his art. It was a term critics often misunderstood as meaning superficial entertainment detached from real-world problems. Yet for Jackson, as the songs on this album (and the rest of his catalog) indicate, it was not an aesthetic of evasion. Very few popular artists have tackled the range of subject matter of Michael Jackson. Escape, for Jackson, was about transporting his audience (and himself) into different stories, different spaces, different sounds and emotions; it was about drawing contrasts between the way things are and the way things could be, between our realities, fears and desires. This was the “great adventure,” as Jackson put it in one of his final rehearsals for This Is It in 2009, that escaping into great art and entertainment invited. With one of the highest grossing tours of all time (Michael Jackson THE IMMORTAL World Tour by Cirque du Soleil) and the hottest residency show in Las Vegas (Michael Jackson ONE by Cirque du Soleil), Michael Jackson’s popularity shows no signs of diminishing. The current musical landscape is a veritable homage to the King of Pop, from Pharrell Williams to Bruno Mars to Justin Timberlake to Daft Punk. Now, with XSCAPE, music fans around the world will get to hear eight brand new, fully updated songs from the artist who inspires them all. Special Thanks to Diana St. Amand, Kevin Antunes, Marty Bandier, Miko Brando, Michael Bush, Jeryll Cohen, Lindsay Cole, Sarah Copas, Marquis Davis, David Dunn, Matt Forger, Jarrod Gilbreath, Justine Grant, Paul Hoffman, Jeff Jampol, Craig Johnson, Jamie King, Zia Modabber, Victor Murgatroyd, Jon Nettlesbey, Frank Patterson, Stefanie Roos, Stephen Rosenbaum and the entire KOPP Team, Gary Stiffelman, Rich & Tone Talauega, Evvy Tavasci, John Textor, Alicia Yaffe and the entire Team MJ for their continued support and hard work. Special Thanks to the Sony Music Team: Doug Morris, L.A. Reid, Sylvia Rhone, Scott Seviour, John Doelp, Richard Story, Edgar Berger, Julie Swidler, Heath Kudler, Traci Adams, Dave Bell, Alla Benyatov, Adam Block, Lorenzo Braun, Scott Carter, Lauren Ceradini, Jason Cohen, Lisa DeLuca, Chelsea Donnarumma, Leah Ducey, Anthony Ellis, John Fleckenstein, Todd Glassman, Dalia Glickman, Lynn Hazan, Lisa Kasha, Lyn Koppe, Jay Krugman, Sam Lecca, Liberty Lucken, Joseph O’Connell, Jim Parham, Marisa Pizarro, Benny Pough, Alexandra Robertson, JP Robinson, Heather Santos, Max Sholl, Darren Stupak, Scott van Horn, Stephanie Yu. To all of Michael’s Fans around the world – we thank you for your loyalty and endless support for Michael’s legacy. We all owe a debt of gratitude to the most sensational performer of all time, the KING OF POP MICHAEL JACKSON. Your talents, generosity and groundbreaking gifts to the world are second to none. Thanks for being you. And to all the talented songwriters, producers, musicians and background singers who tirelessly gave your all to make this album possible. This album is dedicated to Michael’s children, Prince, Paris and Blanket, and his mother, Katherine Jackson.